i just want to know that in my samsung wave 2 in dolphin browser pop up is not opening..what i have to do for open pop ups ? neha, 05 May 2011wave 2 or galaxy SL 9003????? wch 1 shud i buy??? m veryyy confused... plzzz tell....plzzz h... morewave 2, it is best quality. im using it for a week now and im loving it everyday! hey samsung developers, youre too slow upon upgrading this phone.. all i want is 10.1 flash player...is there anything that can possibly do the upgrade? hey hiiiii guys i am planning to buy this phone but cant decide between bada and android and one more thing. 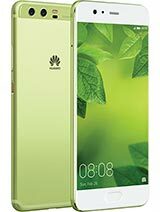 is it possible to add/download/install additional keyboard language on this phone? mine i noticed, do not have spanish and i need spanish characters especially in writing names. also when you get to buy an app from samsung apps, it would require a credit card account which i do not like for security reasons. in other sites, your purchase would just be debited from your pre-paid or post paid account. i bought wave 2 and em v happy wid it.C7 is gud phone but when u compare it with wave 2, then wave took the cake.Because graphics,camera result,volume all things r better then c7. neha, 05 May 2011wave 2 or galaxy SL 9003????? wch 1 shud i buy??? m veryyy confused... plzzz tell....plzzz h... morehai neha... I think wave is better than galaxy. bcoz my friend bought new galaxy and compared with my wave 2. s8530 is more sharper than galaxy. and galaxy cant play few formats of videos. wave is good in look and functioning also. wave 2 or galaxy SL 9003????? wch 1 shud i buy??? Does this phone have a limited capacity for sms's ? The samsung website precisely says 1300 sms's !! i had the privilege to test s8500 wave and c7,and personally i think wave is by far more fascinating then c7 at software stages,display and camera;even design,,i dont know about wave 2 but i think besides the lcd screen,which is week is the same as wave 1.